Culminating UCSB’s Week of Welcome festivities, Southern California’s own Cuco headlined Saturday’s Welcome Back Concert at Storke Plaza. Cuco’s DJ warmed up the crowd of new and returning students, who had assembled outside the fences long before the scheduled 9 p.m. showtime. AS Program Board hosted this annual event, but this year, it may have been a bit anticlimactic. Cuco (real name: Omar Banos) is a 20-year-old singer, songwriter, musician, and producer whose songs combine Latin influences, Spanish lyricism, and hip millennialism. While still in high school, Cuco got his first taste of fame when a Twitter clip of him playing Santo & Johnny’s “Sleepwalk” on the slide guitar went viral. He followed up that brief internet stardom with bona fide hits, releasing songs such as “Lo Que Siento” and “Amore de Siempre” on Spotify, where he now has over 1.5 million monthly listeners. The artist’s young age, combined with his rise through social media, makes him relatable and down-to-earth. His background makes him more approachable than other celebrities who are born into fame or make their way into the limelight via connections. His achievement may be the “American Dream” of everyday millennials wishing to find fame as singers, dancers, actors, and comedians by becoming social media stars. Due to the artist’s likability, turnout was high. Lengthy lines at all four corners of Storke Plaza took students half an hour to go through before entering the venue. For his actual performance on Saturday night, Cuco chose a DJ set combining some of the world’s most popular hip-hop, Latin, and reggae songs. Unfortunately, he did not play any of his own songs and he did not sing nor play any instrument for the crowd. Consequently, the show was a bit of a letdown. High atop his stage and far behind his mixing board, Cuco barely acknowledged the crowd or showed his face. Even worse, both he and a member of his crew faltered and messed up our acronym, UCSB, when taking the mic to address the audience. Cuco also appeared on stage 20 minutes late, indicating his lack of regard for this gig. Aside from the obvious disappointments, Cuco’s selection of popular songs also displeased. Revelers seemed to find it hard to dance to his odd mixes of new and old known-but-not-well-liked tunes. He quite enjoyed ceasing all music and turning off all lights for dramatic effect, but his suspensions landed at uncomfortable parts of songs, often where beats were supposed to drop, making the music very awkward to dance to. I heard one concert-goer ask when leaving, “If Cuco just DJ-ed the whole show, what was the point of having his DJ open for him?” It’s a fair question. 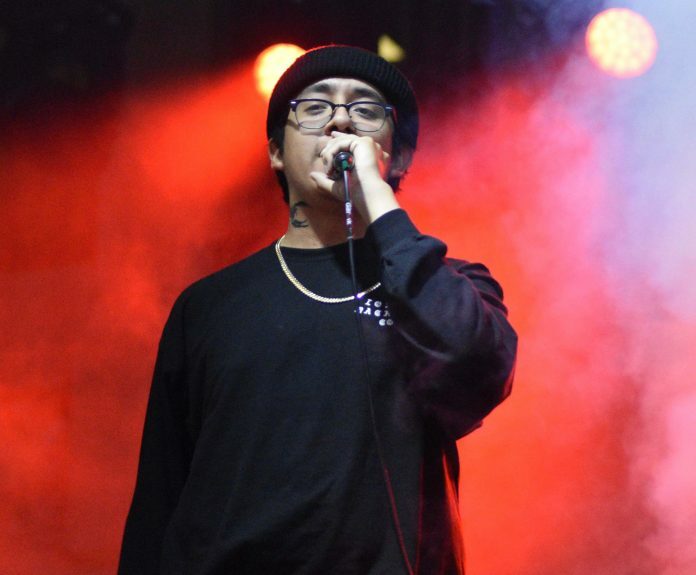 Cuco’s hype man didn’t add anything special to the show — or vice versa, Cuco didn’t add anything new after his DJ’s performance. They both showcased the same talent: mixing other artists’ songs. And unfortunately, neither of them did it that well. While the Welcome Back Concert this year was a bit of a letdown — especially after a considerable amount of hype — AS Program Board still has much more fun to offer throughout the year. Enthusiastic UCSB students should be sure to check out their Free Tuesday Films this quarter at IV Theater, with weekly showings at 7 and 10 p.m, and will not want to miss IV First Friday on October 5 at 8 p.m. in the People’s Park. Although I don’t attend UCSB, I do have some friends that do. Knowing I’m a big fan of Cuco, they sent me videos of his performance. You mentioned that he did not play any of his own songs, but he actually did. He performed the song “Summer Time High Time” from his EP “Chiquito” which features J-Kwe$t. I’m 99% sure he played another of his own songs, though I don’t remember which one real well.